Home > Special Offers > Sales > VOLKSWINTER READY! Don't just tolerate winter... take on winter! 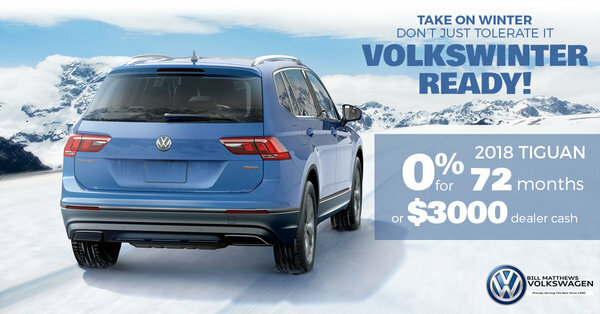 Be VolksWinter Ready this February with 0% Financing for 72 Months or $3000 Dealer Cash on the 2018 Tiguan!